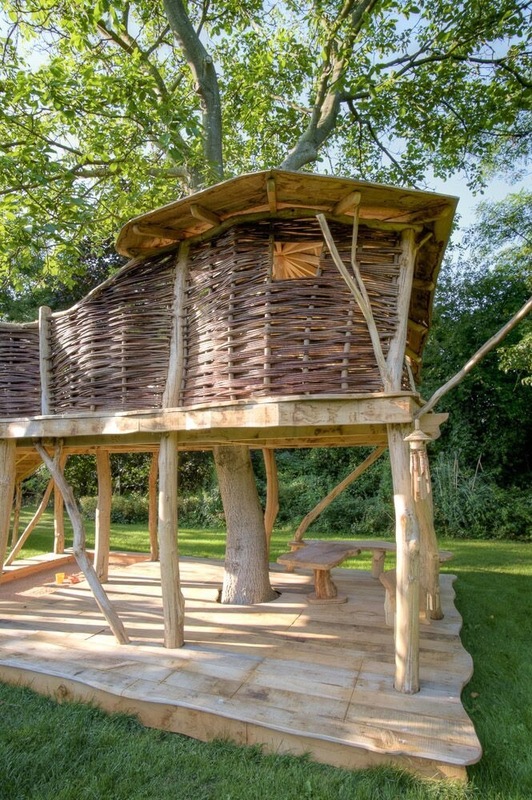 Built around an existing walnut tree, it has a double set of swings, slide, sandpit, ramp, tree house, children's benches, adult benches and table. It is designed for children to have fun, and for adults to be able to make themselves comfortable. We really focused on making the structure flow into the surrounding garden. The willow really helps it blend in and the sweet chestnut roof on round winding wall plates, give it a completely unique look. The entire structure is built with sweet chestnut that we coppiced ourselves, apart from some structural joists. It has an oak upper and lower deck, and at no point touches the walnut tree. Read our blog about the build here.